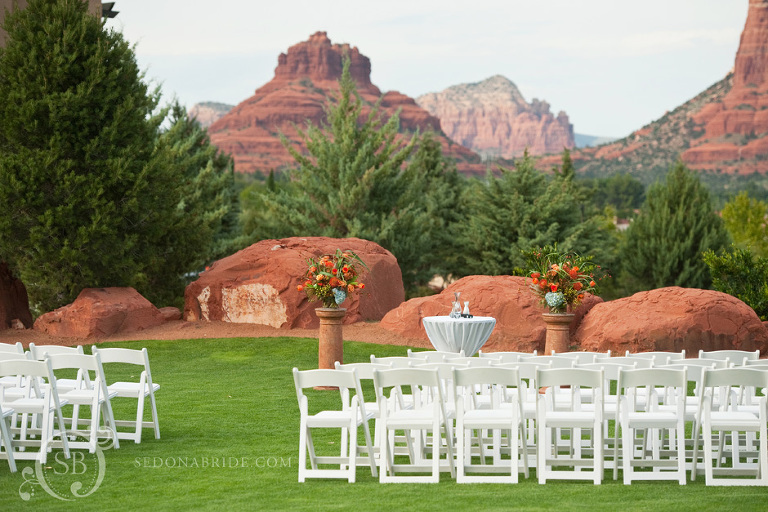 Sedona Golf Resort is one of the finest golf courses in Sedona, offering sweeping views in a red rock setting perfect for a memorable red rock wedding. Their dining room seats up to 150 people and is lined with walls of windows that over look the golf course and an amazing view of Bell Rock. Katie Draxler, their onsite sales and catering manager, and her team are always hard working and wonderful to work with. 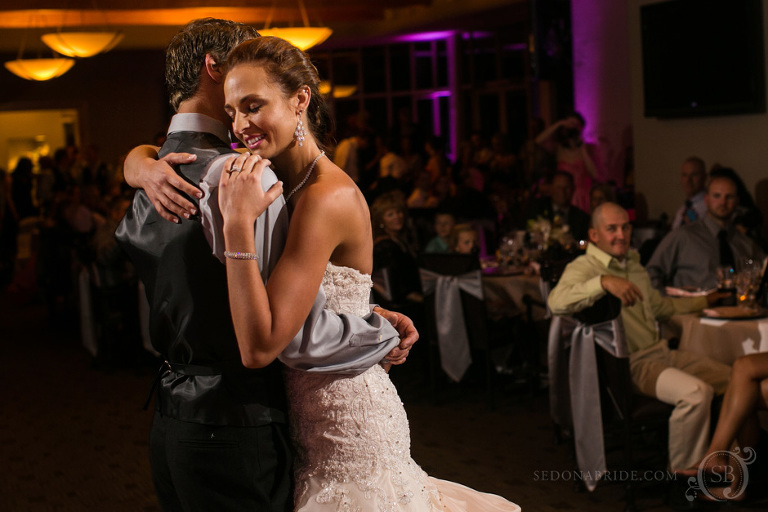 With the beautiful views and fantastic staff it’s no wonder that Sedona Golf Resort is one of the most popular wedding locations in Sedona. Dates go fast so be sure to book early. 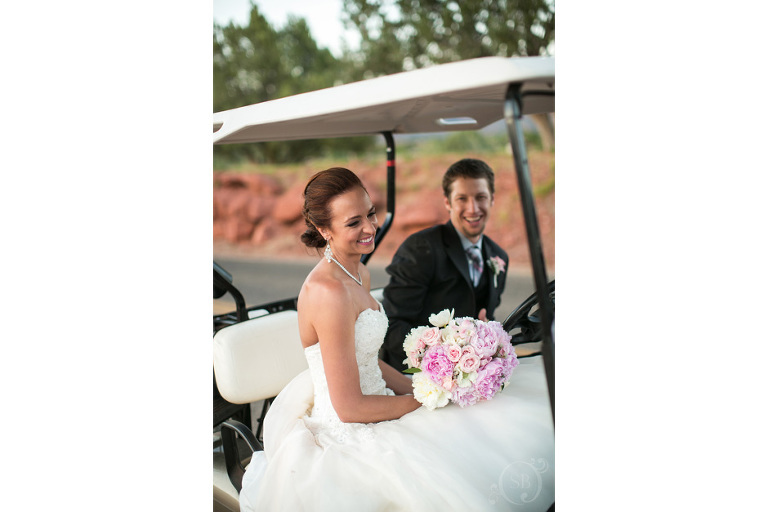 The most popular wedding ceremony location is right outside their dining area but some of the most amazing views of the red rocks are further out on the golf course. Some locations are actually available for wedding ceremonies and even if you don’t elect to have your ceremony further out on the course for logistical reasons, it’s still worth while to explore for your wedding portraits. 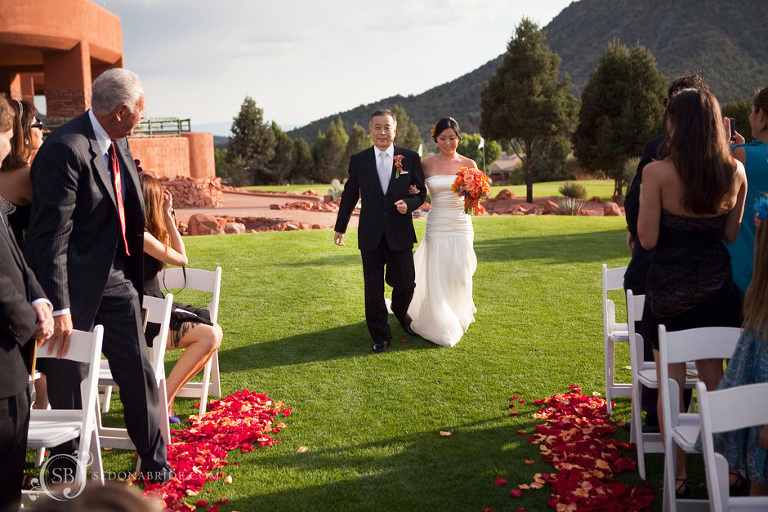 Be sure to plan for some time to roam the property for wedding photography with unforgettable red rock views. Sedona Golf Resort does not have lodging but the Hilton and Las Posadas is within walking distance providing great locations for your family and friends to stay. Another favorite is a bed and breakfast, Adobe Village Graham which is just a few minutes by car from Sedona Golf Resort. © 2019 Sedona Wedding Photography | Sedona Bride Photographers | Husband and Wife Photography Team | Katrina and Andrew|ProPhoto6 Blog|Designed by Seaside Creative.